Heartprints of God: Have You Ever Stopped to Wonder . . .? Have You Ever Stopped to Wonder . . .? 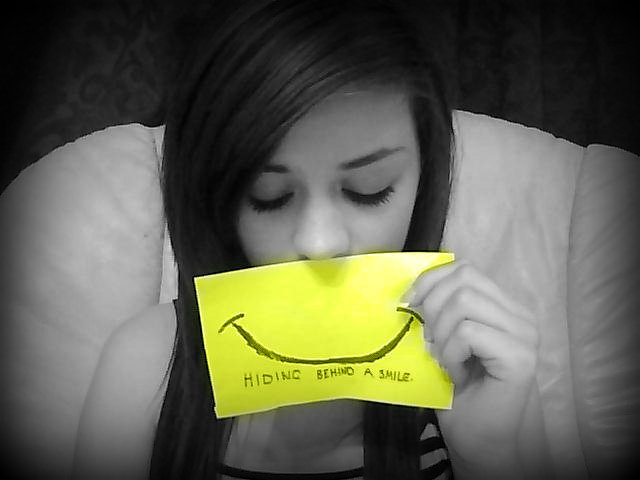 Have you ever stopped to wonder what's hiding behind a smile? I hadn't, at least not in quite the way I did recently, until well, recently. You see, up until about a year ago, I suffered from an undetected, extremely serious circulation issue in my left leg, which led to ongoing wounds, which led to many trips to a wound care center, sleepless nights, and ongoing, never ending pain. Thankfully, last December, I underwent a surgery through which God healed me. Neatly tucked under bandages, leg wraps, compression stockings, socks, and long pants, I carried this hurt with me each and every day. Except for a limp here or a limp there, I prayed no one would notice. I don't like to be fussed over. I don't like to make others aware of my weaknesses or my needs. Maybe, it's pride. Maybe, it's that I am a very private person. Maybe, it's just me. About a year ago, however, as I was going through life with my normal "nothing is wrong with me" facade, I wondered how people would react if they could see what was hiding under all these layers of protection on my leg. Would they be more patient? Would they be more helpful? Would they be more compassionate, caring, supportive? In this moment of contemplation, God captured my thoughts and took them to a whole new level. "Stacy, how would you react if you could see what is hiding under all the layers of protection covering the hearts of people all around you?" And, it's true, isn't it? We have all been hurt by life, and yet, many of us go through life with our normal "nothing is wrong with me" facade, all the while, hiding the hurt in our heart. How would we react if we could see the raw, wounded parts of each other's hearts? Would we be more patient? Would we be more helpful? Would we be more compassionate, caring, supportive? I remember when my husband's mother passed away. With a broken heart, not wanting to be out and about, he had stopped by a grocery store to pick up a few necessary items. While there, he found himself on the receiving end of some harsh words from an impatient cashier. Later that evening, as he recounted this incident to me, he summed it all by saying, "You know, Stacy, we never know what someone is facing, what someone is going through, what someone is feeling. We should always treat everyone with extra love and tender care." And, he's right. Have you ever stopped to wonder what's . . .
You who know the secret hurts safely tucked behind smiles and hidden between "I'm doing just fine"; fill us with Your compassion. Teach us to love like You love, Lord. Help us to be ever mindful of those around us. Guard our mouths and our actions that we might not hurt the already wounded, but instead, be instruments of Your love, Your healing, Your peace, Your comfort. May we treat every one with love and tender care, Father God, just as You so lovingly and tenderly treat us.